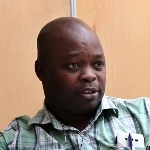 Blessings Chinsinga is Associate Professor at the Department of Political and Administrative Studies at Chancellor College, one of the constituent colleges of the University of Malawi. He also serves as Deputy Director for the Centre of Social Research, the research arm of the Faculty of Social Science. Blessings’ involvement with ESID is as a country level researcher in Malawi focussing on the country’s political settlement and its implications for inclusive growth and development. His main research interests include politics of policy processes, political economy of development, rural livelihoods and local level politics. With regards to ESID, Blessings is interested in the interface between political settlements and national-level politics, the politics of policy implementation and social provisioning. He is currently working on the scoping assessment of the political settlement in Malawi and its implications for contemporary development in the country. Chinsinga, B., Chasukwa, M., and Zuka, S. (2014). Large-scale land deals in the sugar industry and rural development in Malawi: a political economy inquiry, International Land Deals in Eastern and Southern Africa, Chapter 3: OSSREA, Addis Ababa. Chinsinga, B. and Poulton, C. (2014). ‘Beyond technocratic debates: The significance of political incentives in the Malawi Farm Input Subsidy Programme’. Development Policy Review 32(S2): S123-S150. Chinsinga, B., Chasukwa, M., and Zuka, S. (2013). The political economy of land grabs in Malawi: investigating the contribution of Limphasa Sugar Corporation to rural development, Journal of Agricultural and Environmental Ethics, 26(6): 1065-1084. Blessings is a member of the High Level Development Council in Malawi, an advisory group to the government on long-term development strategies and priorities. He is also a member of the Political Economy Analysis advisory group for a civil society governance fund supported by a consortium of donors, which among others include DFID and Norad. The fund is called Tilitonse, which means “we are together”. Read our Researcher Spotlight on Blessings Chinsinga on the blog.